On April 13th in the USA, and April 14th across much of Europe and Russia, the news media was full of one story and one story alone – the air and missile strikes carried out by the USA, France and Great Britain on selected targets across Syria. One week and two days later, in a scan across the major media outlets in the USA (Fox News, Drudge, CNN) and Russia (RT, TASS), there was only veiled reference to Syria on TASS, and one Op-Ed on Syria in RT. The American networks are silent on the matter, preferring to concentrate on things like President Trump dusting dandruff off of French President Emmanuel Macron, or at the most important end of the range, the upcoming meeting with North Korean leader Kim Jong-un. It is interesting that a story that featured in its running narrative the absurd notion that Russians in Moscow were living quietly under a high state of alert for nuclear attack, and CNN’s screaming that the US President was being “weak” with Russiato undercut his own UN envoy by refusing to impose new sanctions on Russia… now there is nothing. The answer here is highly speculative but it still coincides with a line of thought we presented last week – that this air and missile strike was really a political masterstroke. I was traveling in the United States when the strike occurred, and it was rather tricky to get any sort of feel for what the reaction was in Russia. Despite the hysterical tabloid style reporting seen on VESTI News, the only reports I got from contacts in the Russian Federation at the time included concerns about the recent depreciation of the Ruble, which did fall markedly during the runup to the attack, slipping from some 56 rubles to the dollar down to the present value of about 61.5 to the dollar. That is a significant drop, but it is also a limited one, and the ruble is likely to come right back as the political situation is increasingly seen as stable. But when I returned to Russia, I started asking people here directly what their takeaway on the attack was, and I found it rather interesting. The people I asked, some students that are studying English, said that their impression was that likely thing was that President Trump and President Putin had a talk about this attack before it happened, and that they discussed very carefully the plan that it would follow – that being a precision strike on empty buildings for optical effect. This seems to line up well with the reports coming from Syria and Russia that noted that nothing of value was destroyed, and no casualties were reported. This in an attack that employed the use of 103 missiles – an impressive number by any calculation. There was also one very interesting observation from an American observer, that no one I read reported. This was that the TV clips we were treated to showed anti-missile systems in use, as a missile flew far up in the sky to detonate, presumably destroying an inbound rocket. 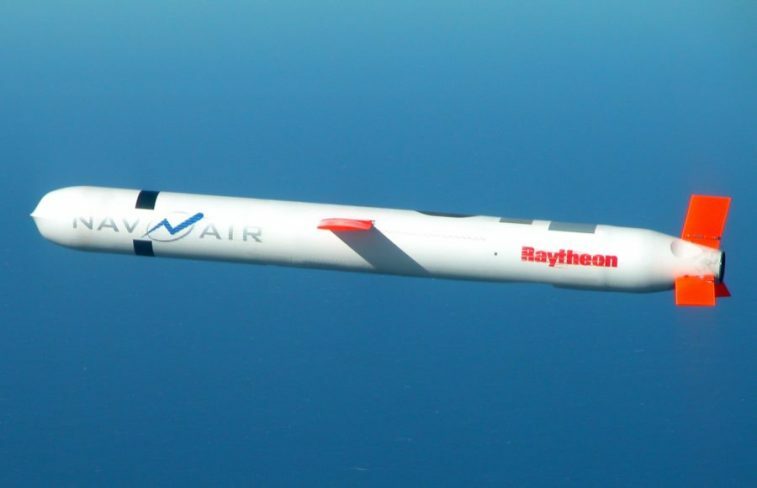 If most of the missiles were Tomahawks, therefore cruise missiles, why would an ABM system be shooting high? 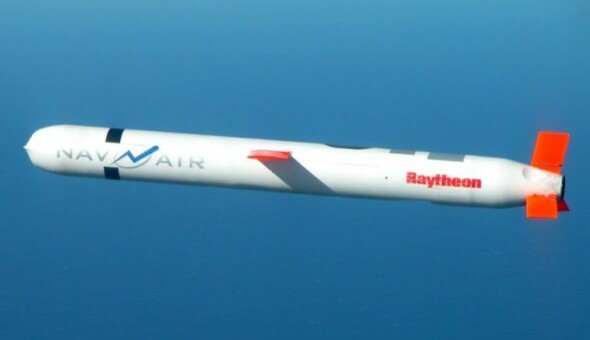 Publicly available data on Tomahawks says thatthese weapons generally fly at altitudes of between 30 and 50 meters above the ground (98 to 164 feet). In other words, these things are ground-huggers. Now, as most of us understand this attack through the medium of television, we were indeed treated to a spectacle that one would expect to see. A missile taking out a low-flying Tomahawk is admittedly hard to catch on video, though an experienced cameraman could do it. And while this reasoning is sound given the specifications for the Tomahawk, it is of course extremely speculative to assume that the whole attack was theatrics in action. Except for the fact that this seems to make sense given the actions then and the non-action taking place now. It is further somewhat likely that all this is a gradual preparation for a meeting that will take place between the US and Russian president which will open up some real opportunity to roll back the tension between these two nations. The further tacit acknowledgement that RussiaGate seems to be a lost cause, given by both the Democrat-initiated lawsuit, which is patently absurd in its nature, and the veiled comments by MSM reporters such as this one, that “the American people are not concerned about Russia” would seem to indicate an opening. This opening may not exist, and if it does exist it still may not be by design. But it nonetheless looks like something quiet is taking place. Hopefully this little piece of speculation will not disturb it.